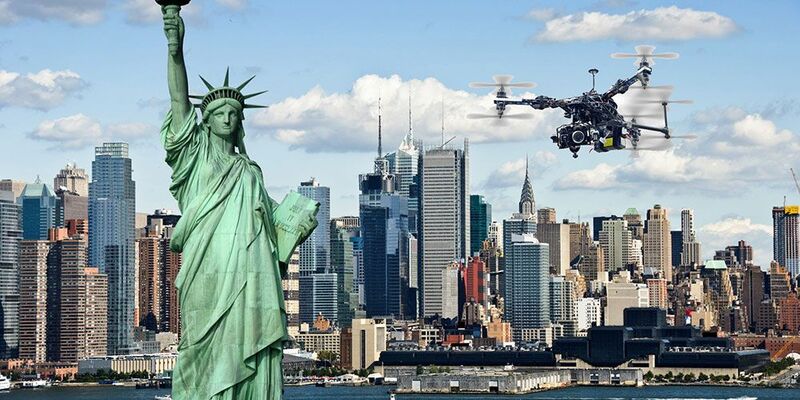 The Federal Aviation Administration has levied a $200,000 fine against SkyPan International for flying drones in violation of FAA regulations in New York and Chicago airspaces. This fine was reduced from the original $1.9 million penalty. Part of the settlement requires SkyPan to produce in conjunction with the FAA, three public service announcements encouraging all drone operators to learn and comply with FAA regulations. The settlement also includes additional penalties up to $300,000 if SkyPan violates FAA regulations in the next year or if they fail to comply with the settlement terms. SkyPan, an aerial photographic service, has operated for 28 years. In a press release, SkyPan stated that their flights were conducted before the FAA Part 107 regulations went into effect. The lesson to be learned is that the FAA is very serious about its regulations and their enforcement. As a commercial drone operator, you must be aware of all regulations and conduct your flights in accordance with them or face the possible consequence. Certified Training Institute can help you avoid costly mistakes. Our Certified Drone/UAV Pilot and Instructor, Greg McMaster teaches up to date sUAS/Drone courses designed to help you pass your FAA Remote Pilot in Command exam as well as other courses covering airspace, weather, aerodynamics, and many other topics. The official FAA press release can be found here. SkyPan also issued a press release available here.